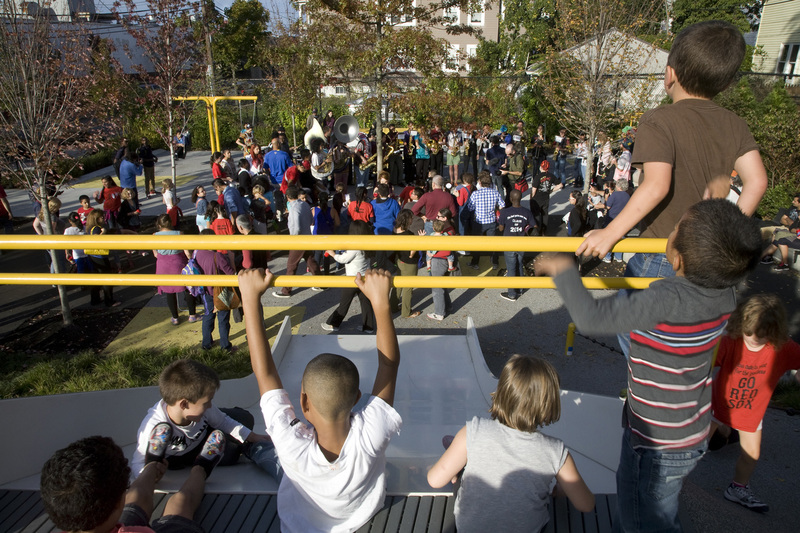 GV led an extensive community process for Chuckie Harris Park, engaging the community in four languages, through public workshops and outreach through schools, libraries and social media. Since opening in July 2013, the park has hosted a music festival, a block party, a summer movie series, and countless informal gatherings. This photo shows an October performance of the HONK! Festival of Activist Street Bands.